Helloooo! This was an outfit I was supposed to put up some months back, but I never got to. I also didn't like it much, so I never bothered. What do you think? Yay or Nay? I actually like the look, especially the shoes and clutch! I wish you the very best on your exams. I like your look; how you paired two different shade of blue together. Lovely! I have the same braids lol the older they are the more I love them. 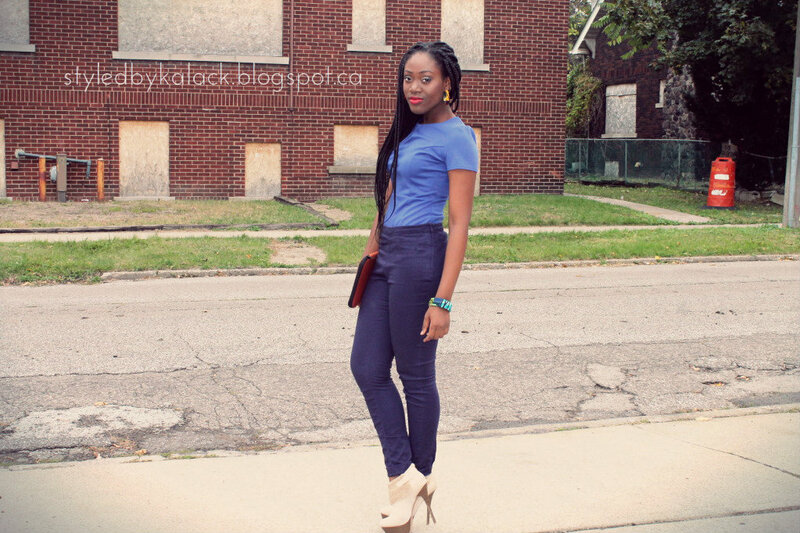 You should also do different hairstyles... Found you on Fashion Bomb; love your site/style. Love your look as always! Good luck on exams! Like the blue on blue combo. Thank you Olga! :) I'll come over. Cute shoes! Good luck on the finals. I love this color combination!! I hope your finals went well!! I have a giveaway going on in my blog, pass by and enter if you like! oh my gosh, you look so stunning! love your pants so much.